So, these past few days I have really gotten annoyed with Facebook! Good grief oh golly! It is all over the place. That works though since I’m doing my best to not be on Facebook all day everyday anymore! So what do I do with my time? I join a gym! The last week of doTerra’s 6 week blog experience, I join a gym. How ironic? It actually kind of is. I kind of thought it wasn’t affordable, and that it would be bad for my daughter. Yeah right; my almost-7 month old loves it. We bring her in and the ladies love her, and the other kids want to play “baby” with her. My 7-month post-partum body also loves it. So, how do Essential Oils play a role at the gym? Well… let me tell you! My mid-lower back hurts more than usual. Yeah, that myth about where the epidural was… that spot. It hurts. Lets fix it! DEEP BLUE Oil or Lotion… doesn’t matter too much which. No, it doesn’t directly help you loose weight, but once you start exercising, you mind find it more important than the slimming Peppermint or Slim & Sassy to your brain! Maybe even the detoxing Lime and Grapefruit oils. You maaaay not find it as “necessary” as all those other oils helping you avoid your cravings, but being in good spirits and pain free is very important! Here’s the deal, for me at least. 2. Don’t put it on right before, after, or during the workout or shower unless it is VERY diluted. I learned this the hard way with Biofreeze/IcyHot awhile back, take that times 10 and you get Deep Blue consequences. Learned that the hard way too 😡 Your pores open, and I’m telling you – A LITTLE GOES A LONG WAY! These essential oils are POTENT! Now here I sit 20 minutes later feeling limber and great! PS: This stuff is also awesome for bruises, headaches and migraines, inflammation (obviously), and sprains. Its expensive, but so worth the cost. This is the one oil I would choose if I had to choose one single thing ever. Maybe, because it has solved any migraine I’ve ever had — and those are the worst pain ever in my opinion. Week 5! Almost there! How have your past 5 weeks been? I found myself regressing almost this week! Possibly, more so than I thought … so I did some research. We’ve talked about doTerra’s Slim and Sassy blend, doTerra’s Grapefruit oil, doTerra’s Lime oil, and last week, doTerra’s Peppermint oil. This week, I did some research, and ran across an article which referenced Dr. Alan Hirsch. He has done research on hunger and what causes it. According to Dr. Hirsch, whereas it is often believe hunger is associated with blood sugars and amount of food in the belly, he disagrees. Apparently, with my understanding of this article which referenced him, satiety (the feeling of being full) can be triggered by scent. The goal here is not to NOT eat, but rather eat what you want when you want and how you want — with regulation and conscious decision. 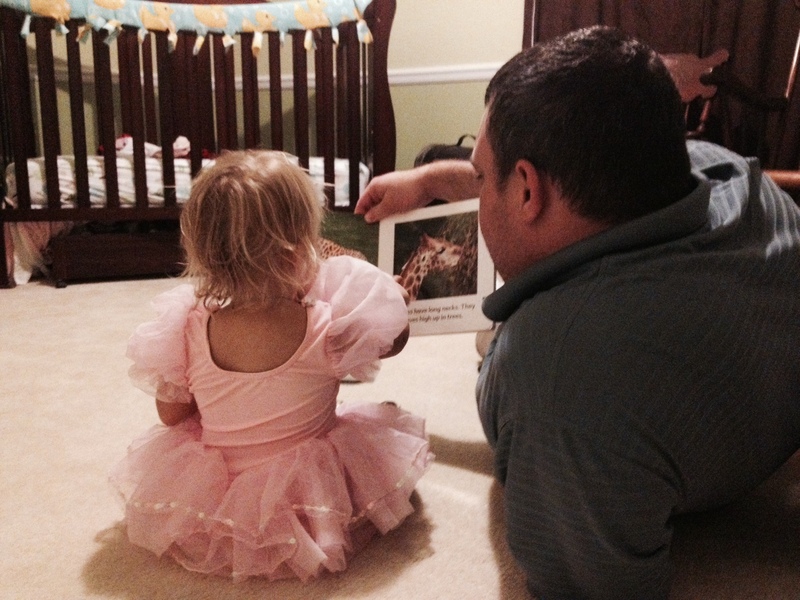 When I got pregnant with my daughter, I thought to myself, “Oh – I’m suppose to gain weight. I’m hungry, lets eat!” While I was pregnant, I ended up having to do that, or I got sick sick sick from not eating. The problem was, after giving birth, I continued to do so, and now half a year later, here I sit still doing so. I’ve cut out soda. YAY! I’ve increased my water by, ohhh… I don’t know…. 9-10 cups/day. YAY! But, I still eat just to eat. This past week, I’ve done some concious studies of my actions and foods. I know I must eat more than “average” per say to maintain my milk supply. I know this. And, add in my exercise, which because of supply problems I’m only doing in moderation… I MUST eat. So, I’ve decided on three meals a day, with two smaller “snacks” in between. By the time I’m done and settled with my child and family, it’s usually 7:30 before I can eat dinner. So – scratch that. I’ve selected 2 meals a day, and three snacks. Not ideal, but this will work. My issue? I don’t do that – I eat all day, and not healthy foods all the time. Stress eaters don’t always select the best food afterall. SOOO….. at the beginning of the day select two or three of these. Carry them with you, and change out the chosen oils daily. Get different ones for max effects. Throughout the day, smell them 3-6 times per nostril, with the other nostril closed. 6 deep sniffs is considered “adequate.” If you under smell, your hypothalamus will be triggered to be “hungry” and you will in fact eat more. Scents supposedly work too: chocolate, peach, maple syrup…. Please feel free to comment with any questions you have about essential oils and use in your home, or EMAIL ME (csnoodles@yahoo.com) to inquire about samples, purchase, or enroll in your wholesale account. A month or so ago I was watching Pioneer Woman, which doesn’t happen very often, and she made hand cookies with her daughter during a sleep over. My mind immediately started spinning searching for a time in our schedule when we could hand cookies. I knew I wanted it to be during the week and when the older boys were home but between football practice and karate class that doesn’t leave much time. I checked the calender and the boys had October 7th off. Now that I had the date picked out I started to worry about my rolling pin skills or lack of to be exact. I figured I would never get better if I didn’t just try! 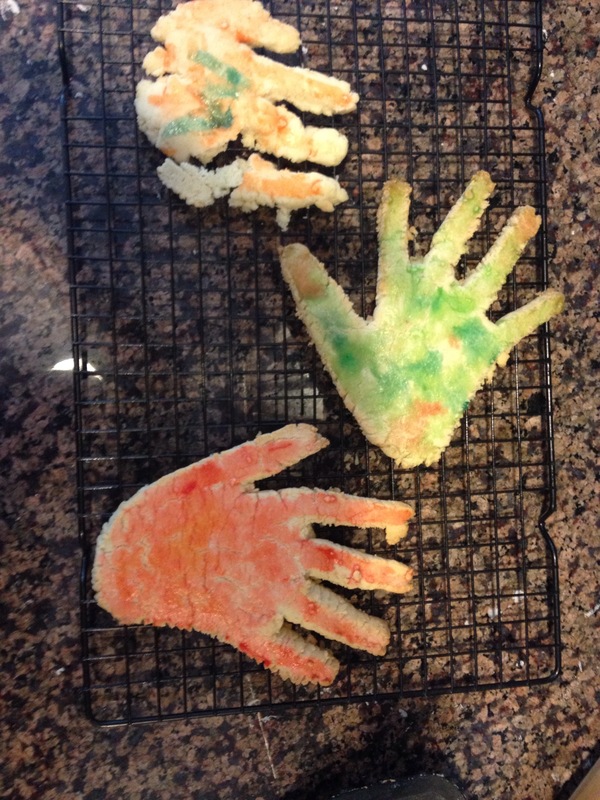 The boys were looking forward to making their hand cookies so this past Monday I set out to make hand cookies. Callum fell asleep so he didn’t get to make one but he still makes a fist when I try to make his hand print with paint so I wasn’t to heart broken. We followed the recipe from the Pioneer Woman’s website that you can find here. My skills with a rolling pin have not improved at all but I will get there, maybe. 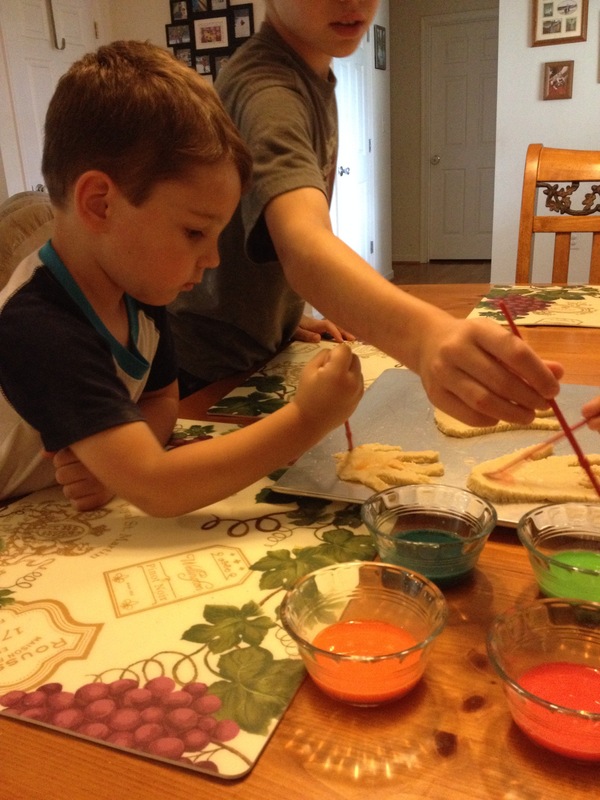 The boys loved making the cookies and painting the cookies. I was very surprised with how Mason did. He did ask me this morning if we could make hand cookies again since it was raining and since it was raining on Monday I guess that makes rainy days baking days. Here is what they looked like when I took them out of the oven. Mason smashed his hand down when I was cutting his out so it was a little thin. Alex’s hand (the green one) was a zombie hand and Wyatt’s was the red one. I love baking with my kids and this was actually one project they wanted to do with me. Have you baked with your kids lately? No matter how little they can help and they love helping and then eating right after. On a side note the boys were off because it was a teacher work day and yesterday was REPORT CARD DAY!!! That day happens to be one of my favorite days. Alex is rocking the 6th grade and brought home 4 A’s and 2 B’s. Such an improvement over last year and he said it’s because he has friends this year. (Last year kids still considered him the “new kid” and a “city boy” and here being a city boy is a bad thing I guess) Wyatt brought home straight A’s and was very excited! I am so very proud of my boys and probably as a reward (even though we don’t do rewards or punishments for grades if they do their best) their dad will take them to a haunted hay ride this weekend. I will stay home with the little ones. Hope ya’ll are enjoying the fall weather! I have absolutely loved this series of posts with you guys. Week one, we discussed doTerra’s Slim and Sassy blend, week two we discussed doTerra’s Grapefruit oil, and last week we discussed doTerra’s Lime oil. In addition to these oils, I have began working out once more, (finally! it only took my daughter turning 6 months old!) and have cut sodas from my diet. Today, I introduce Peppermint Essential Oil. I still encourage you, please email me csnoodles@yahoo.com with “DoTerra Questions” in the subject line, or comment here for more information, questions, comments, samples, or wholesale enrollment opportunities. I’ll be more than happy to talk with you! I absolutely love Peppermint EO. It boosts my energy, refreshes my mind, and is EXCELLENT for my GI system. 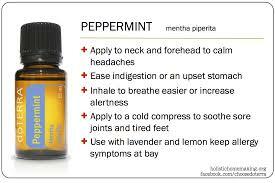 There are so many uses for the Peppermint oil. A study showed that those who used Peppermint Oil in a daily routine ate 23% fewer calories on a consistant bases than those who didn’t, and on average that added to nearly 3,000 calories a week, or equivalent to loosing 20 pounds in 6 months with healthy eating habits and moderate exercise activity. This is not a “diet” oil, this is a lifestyle. What’s awesome? Unlike Lime used topically, Slim and Sassy used topically, and Grapefruit used topically (also used internally or diffused) this one I tend to use diffusing only (unless I have an upset stomach or headache in which case internal or topical is my choice of application). A cold air diffuser is amazing, but I tend to stick it on a crotchet flower hooked onto the air vent of my car. Now, some studies link Peppermint to milk – production problems for nursing mothers. I haven’t noticed this with doTerra’s pure oils, and won’t risk it with other brands. I tend to be super careful and haven’t used it internally at all since birth, but diffusing… seems safe for my milk thus far! How are your weight loss and fitness plans going? Making goals? Reaching your goals? Tell us, share!